For a long time, I didn't enjoy the taste of alcohol. Obviously this goes for most people, but it took me longer than the usual college kid to find it enjoyable. The first drink I really enjoyed was a gin and tonic, and since then it has been my go-to. But every blue moon I try to mix things up a bit! This is the second cocktail from the three simple syrups I made, one more cocktail to go! 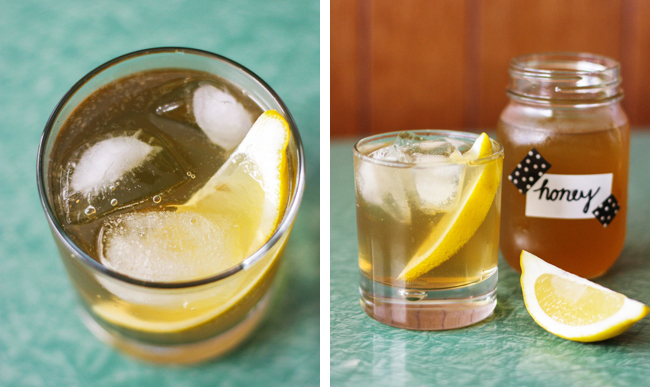 A Highball is basically just whiskey and ginger ale. Well, not just basically...that is what it is. I stayed away from whiskey for a long time (and still sometimes do) but I have come to appreciate it in certain combinations. Ginger ale and whiskey is a combination that I actually love. I used some of the honey syrup I made and a large squeeze of lemon to jazz things up. Be careful, these are very easy to drink! 1. 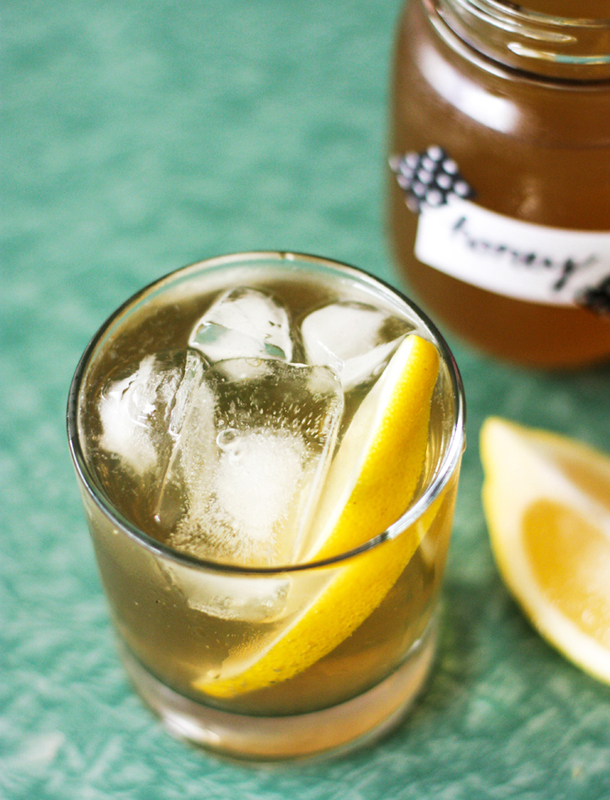 Fill glass (preferably a highball glass) with a few ice cubes. Add whiskey, honey syrup and lemon juice. 2. 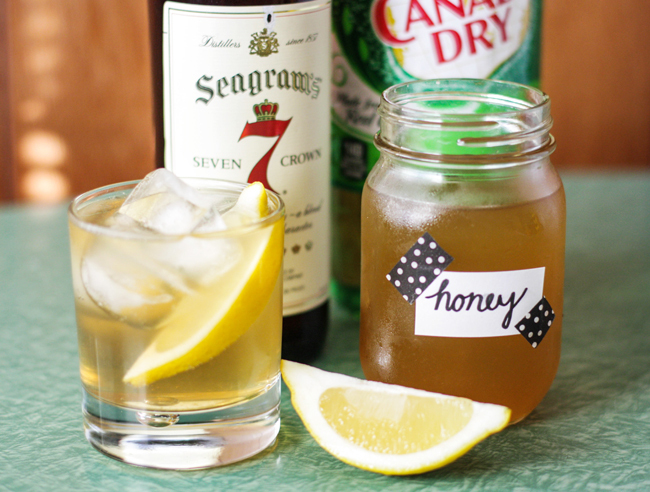 Fill remainder of glass with ginger ale. 3. Add fresh lemon wedge for garnish and additional lemon flavor. mmm looks and sounds very refreshing!